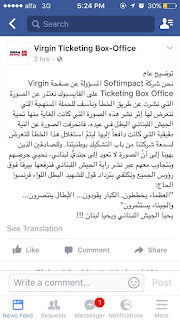 Tarek Chemaly: Softimpact, a sort-of-maybe-apology for the Virgin blunder! 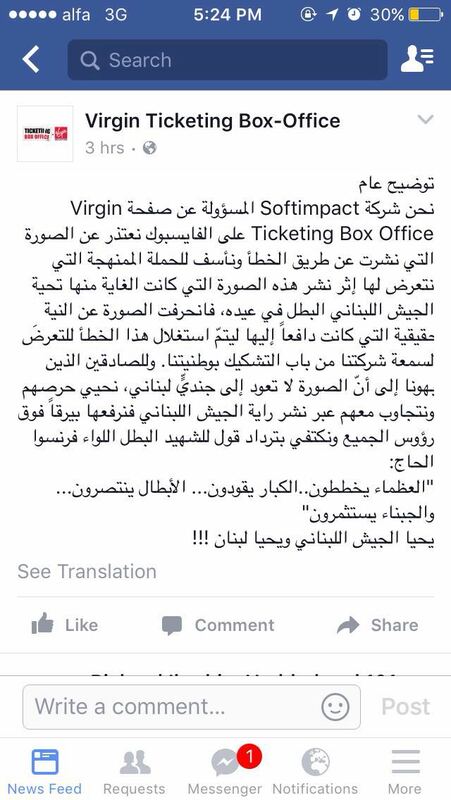 Softimpact, a sort-of-maybe-apology for the Virgin blunder! Softimpact has issued a statement clarifying the Israeli soldier blunder on the Lebanese Army day, unfortunately, the statement is anything but an apology - yes the word "sorry" came once very early in the press release, but it was immediately followed by a plethora of paranoid rantings.... Softimpact is above all concerned of its own image, because it was "systematically attacked", its "patriotism questionned", and of course the real problem is that "great people plan, big people lead, heroes conquer, and small people profit". So voila, those who really tried to say it is not right to put an Israeli soldier's photo on the Lebanese Army day are petty people as per the statement. Here's another quote, "a man apologizes, a coward finds pretexts".